It seems that someone in the government just can’t decide how many food groups there should be. It all started back in 1916 with five food groups. By 1933, the groups had ballooned to twelve. 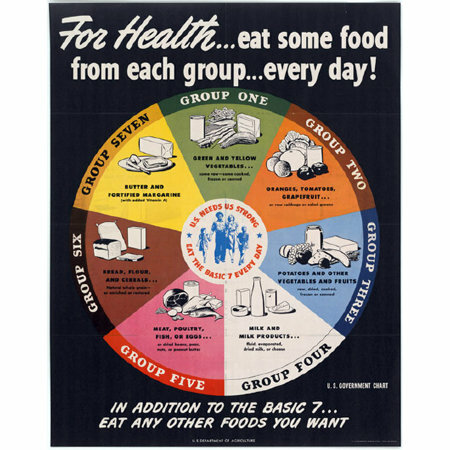 In the early 40s due to wartime food shortages, the groups were scaled back to a more manageable seven, which included Butter and Margarine as its own group. Not to make anyone feel too restricted to these seven groups, the USDA added “eat any other foods you want” to their guide. 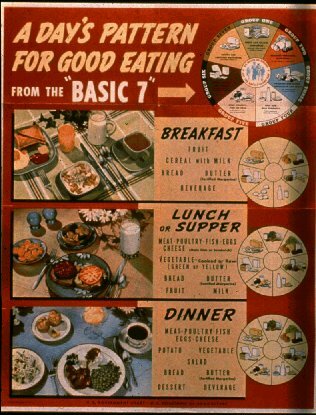 In the 50s, we were down to four groups: milk, meat, fruits and grains. In 1979, Sugar, Fat and Alcohol group appeared. 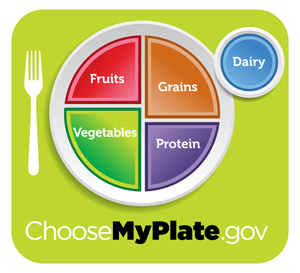 The Food Pyramid was introduced in 1992 to be replaced by The Plate in 2011. « Can AC/DC Save You From A Shark Attack?